Edmund G. Brown Jr. was born in San Francisco on April 7, 1938. Brown was elected California Secretary of State in 1970 and Governor in 1974 and 1978. After his governorship, Brown lectured and traveled widely, practiced law, served as California’s Democratic Party chairman and ran for president. Brown was elected Oakland Mayor in 1998 and California Attorney General in 2006. He was elected Governor again in 2010 and reelected in 2014 to serve a historic fourth term. 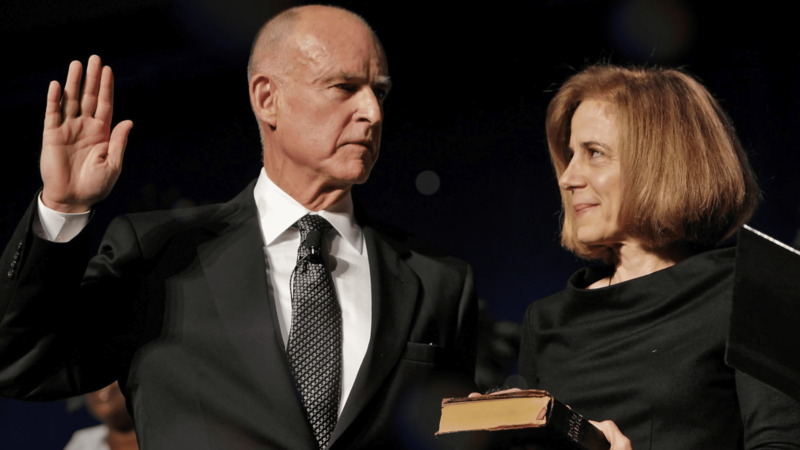 Under Brown, California has created nearly 3 million new jobs, eliminated a $27 billion budget deficit and enacted sweeping environmental, public safety, immigration, health care, water, transportation, pension, education, housing and economic development reforms.